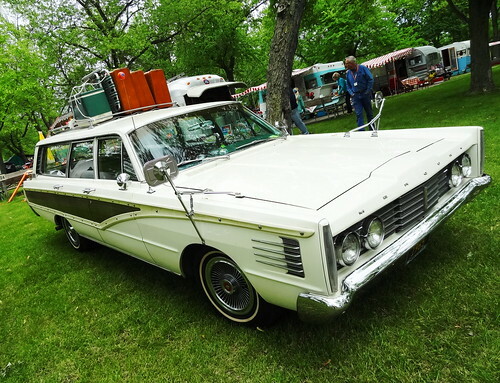 It’s time for our annual trek out to Camp Dearborn for the Tin Can Tourists Annual Gathering. 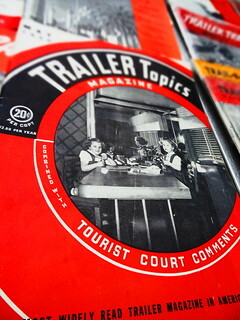 Tin Can Tourists is America’s oldest trailer and Motor Coach Club; they are truly “Rolling History”. 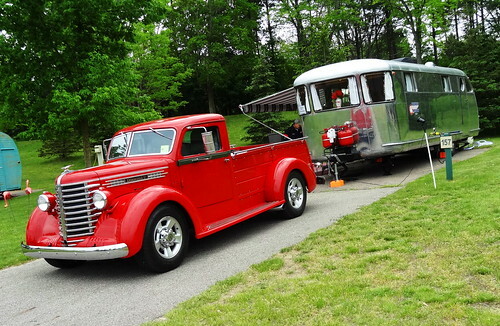 This year 180 vintage auto campers registered for the event, trailers range from 8 to 30 feet and cover the decades from the 1930’s to the 80’s–in a word, it’s awesome! Camp Dearborn is owned by the city of Dearborn, but, it’s actually located about 35 miles away in Milford; no, it doesn’t make sense to me either. Established in 1948, the camp is spread out over 626 acres of rolling hills, ponds, lakes and access to the Huron River. They offer tents, rustic or resort cabins for rent. 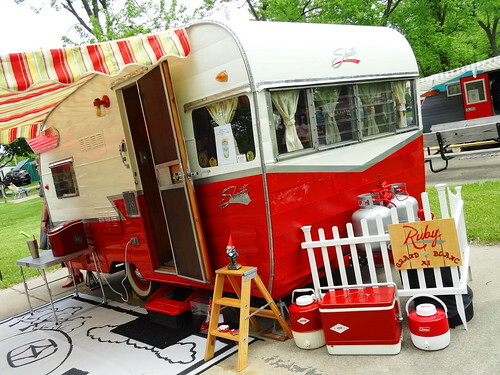 I am completely useless as a vintage trailer expert, still I hope you will enjoy my narrative and Kris’s photos. Walking up the hill from the parking area it’s like we’ve gone back in time. On the campground tents and cabins look straight out of 1948, to the left vintage trailers are parked as far as the eye can see. 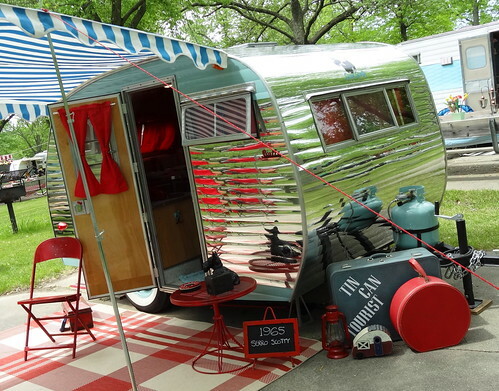 We come up on a cute little 1965 Serro Scotty, polished aluminum, all decked out with an awning over the patio and accessorized in red. Next is a turquoise and yellow Aljoa, inside a string of flamingo lights hangs above a vintage tablecloth and antique dishes. Restorations can be factory exact from the wood to the light fixtures; many people decorate with pieces from the year the trailer was built, I imagine the hunt for the items is as much fun as displaying them. 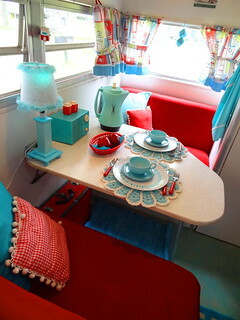 Picnic baskets, barware, thermos bottles, lanterns, potato chip tins, bedspreads and curtains represent bygone eras. I like this one, placemats of the Hawaiian islands, Florida drinking glasses, a pineapple bowl, bamboo lights and a ukulele. 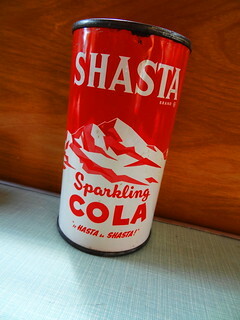 Check out the Shasta, lots of turquoise inside and out, hula girls and Hawaiian salt and pepper shakers. 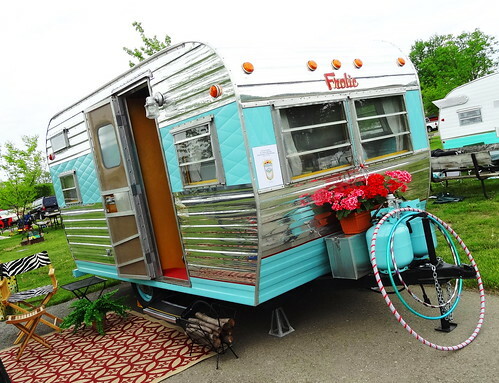 Holly, Shasta, Avion, Trotwood, the list goes on; some people name their trailers: Ruby, Rosie and Pete are all here. I’m fascinated with the interiors; fabulous light fixtures and sconces, one has atomic-patterned curtains, another is totally decked out in 1970’s style in harvest gold, avocado and orange. 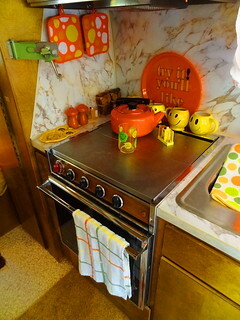 There are smiley faces, big-flowered fabrics, mushrooms, a lava lamp–even the toaster is cool! 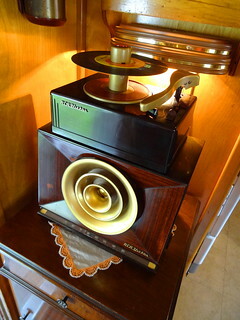 I love all the accessories; a pink RCA Victor clock radio, vintage magazines, a Rodeo themed trailer. 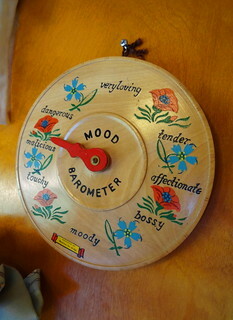 Decor is clever, personal to the owner. 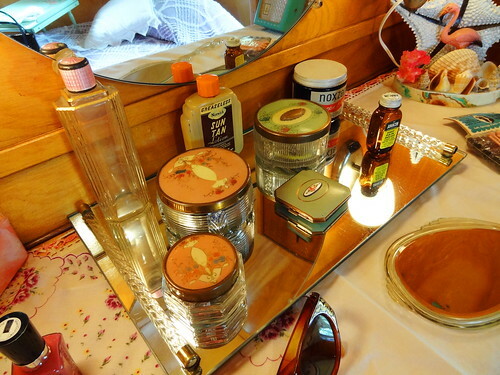 The one that knocks my socks off has a stunning wood interior, a built-in dresser in the bedroom holds an old-fashioned mirror-tray complete with girly things like perfume bottles and jars. The sitting area looks straight out of a magazine; antique TV complete with antenna, record player, phone, fan and loads of trinkets and do-dads. Check out the covered wagon lamp, it has its own team of horses–sweet! 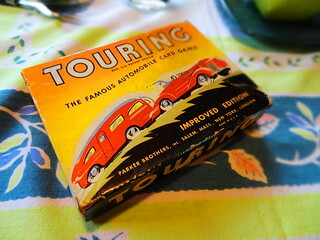 Have you ever played the card game “Touring” by Parker Bros.? Me neither. 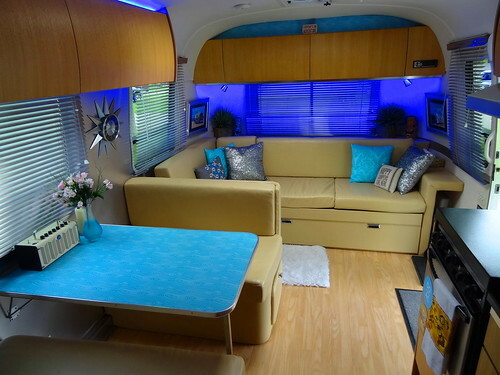 Some trailers are sleek and modernized with LED lighting and all the latest conveniences, then there’s the semi-truck-turned-camper, it has a flat-screen fireplace, tool box counter and locker, very clever. How about those tow vehicles? 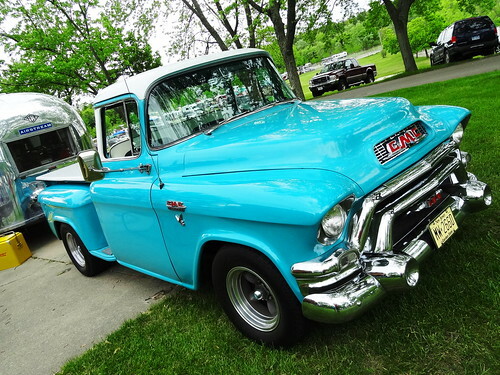 A Mercury station wagon, an old Ford rat-rod, a 1953 Chevrolet Apache, more pick-ups by Chevy, GMC, International, a Plymouth Savoy. 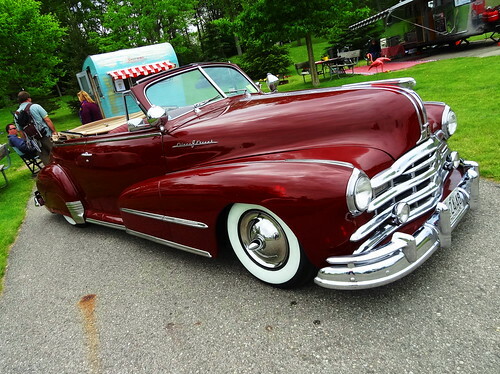 The prize for the most unusual tow vehicle goes to the Silver Streak convertible with the awesome plaid interior, love it. 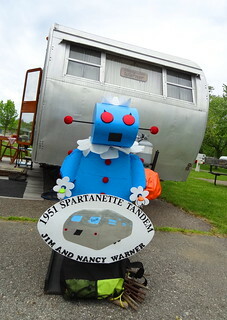 Campers are gracious hosts, we are welcomed into each trailer, some offer snacks, candy or a cold beverage, all are happy to strike up a conversation. I get a kick out of the different lights strung from awnings; palm trees, mini trailers, Edison bulbs. 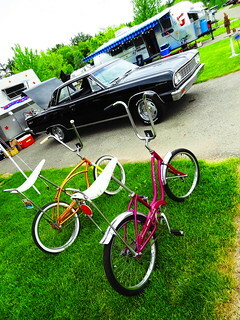 I see a trailer bird house, a Royal Crown (RC) cooler, a fantastic picnic set, lots of vintage bicycles, did I mention the Great Danes? Patios are set up like Tiki bars or just bars. On the way back to the car we check out the trailer on a trailer, it’s super Art Deco inside and out, looks like a big job ahead to restore it; maybe we’ll see it all done next year. Steeped in nostalgia Kris points the car toward Chin’s Chop Suey in Livonia. We have just enough time to eat before we have to be at Masonic Temple for Detroit Roller Derby. Marvin Chin opened Chin’s Chop Suey on this very spot in 1955. 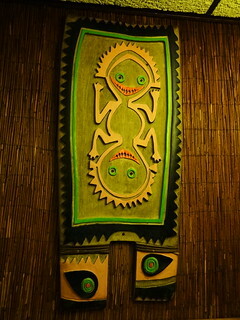 In those days Tiki and Polynesian themed restaurants were all the rage. 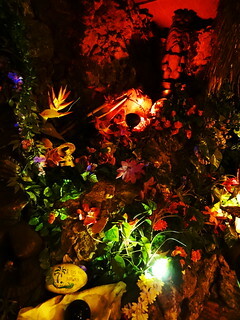 Marvin went all out; bamboo matting, thatch, jade tiles, Tiki’s, masks, a rock wall and a bamboo divider. 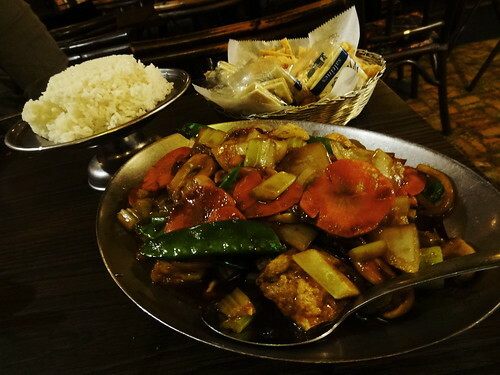 Chin’s served the typical Chinese-American cuisine of the day; Egg Foo Young, Chop Suey, Almond Boneless Chicken, Pepper Steak and Moo Shu Pork. 12 years later Marvin opened the legendary Chin Tiki in Detroit, sadly we never got to see it but people still talk about it. 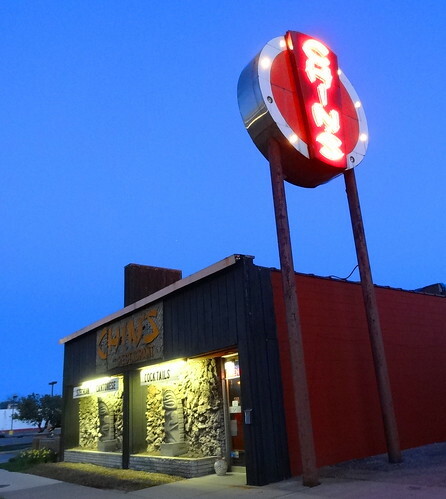 Chin Tiki closed in 1980, in 2002 the boards were pried off the doors when Hollywood came to town to film 8 Mile. I heard stories that the place was perfectly preserved inside and the family was considering re-opening the place. That never happened, the building has now been demolished. Chin’s is still owned and operated by the family, looking around I’ll bet not a thing has changed inside, seriously. 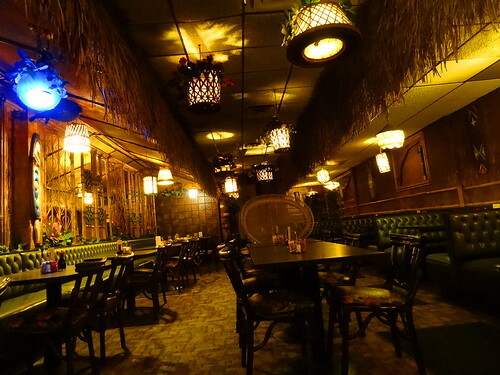 Hanging blowfish, seashell lamps, long banquette seating, that room divider– it’s amazing, a little Tiki haven. 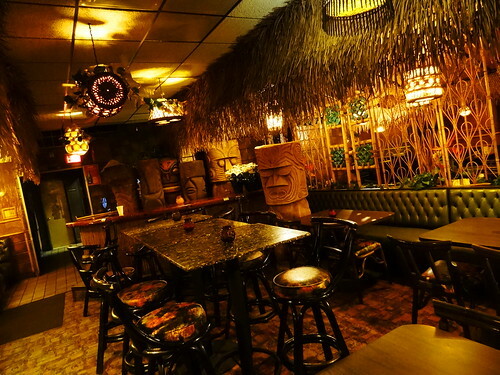 On the other side a cool bamboo bar resides in the back corner with large Tiki statues clustered together around and behind it like it’s their own private section. 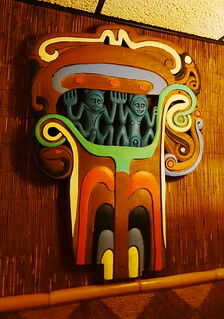 I’m told some of the decorative pieces were brought here from Chin Tiki when it closed. We order a light dinner of Kung Pao Tofu and a couple of spring rolls. First we’re served cups of Won Ton soup, the egg roll and spring rolls arrive simultaneously, each is delicious. The main dish arrives in an oval, covered stainless steel dish, the rice in the standard round pedestal style, exactly the way I remember Chinese food being served when I was a kid. Keep in mind this is not gourmet, organic or farm-to-table, it’s good old-fashioned Chinese-American food with water chestnuts, pea pods, bamboo shoots, sliced carrots and green peppers in brown sauce; nothing fancy or exotic. There’s something to be said for that you know? 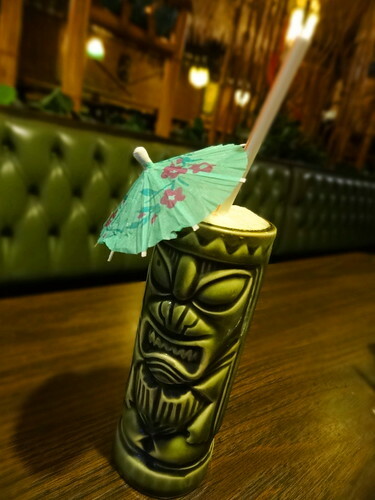 Side note: Cocktails are served in Tiki Mugs from Chin Tiki, they’re available for purchase for 15 bucks. 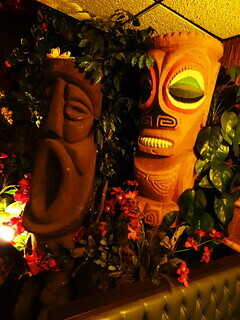 I highly recommend the Chin Tiki Scorpion, our server even let me pick the Tiki mug. It’s not very often you feel like you’ve gone back in time, from the trailers and vehicles to the decor and food at Chin’s, today we felt like time travelers and it was a blast!